The La Salle Green Archers continue their dominance of their former coach, Aldin Ayo. They crush the UST Growling Tigers by 41 points, the second biggest margin of victory since 2003. Six players scored in double figures for the Green Archers. Aljun Melecio scored 22 points. Mark Dyke had his break out game with 16 points. Andrei Caracut and Jollo Go teamed up to score 29. Leading the way for the Green Archers was Melecio. The spitfire guard was the catalyst for La Salle’s awesome offensive display. He started out the game on fire scoring eight points in the first six minutes of the game to set the tone for the scoring. 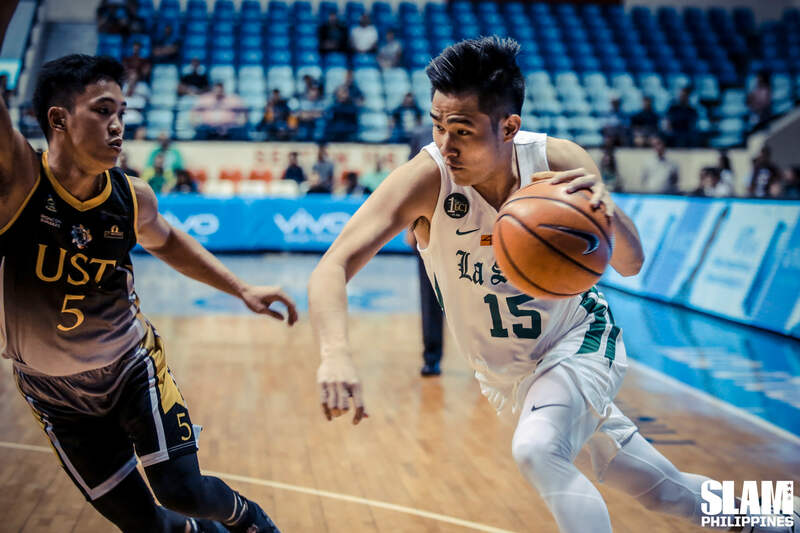 The Green Archers jumped out to an early 27-8 lead and never looked back. La Salle showcased their full strength on both ends of the floor in the third quarter. Five players scored at least double figures after halftime to power a strong La Salle quarter. Justine Baltazar, Go and Melecio combined for 22 of La Salle’s 34-point output in the third period. Defensively, they limited UST to just nine points in the same stretch. Their lead in the second half rose to as high as 48 points as they cruised to the easy win. La Salle rises stays at third with a 7-4 record while UST falls out of the top four with a 5-6 slate. 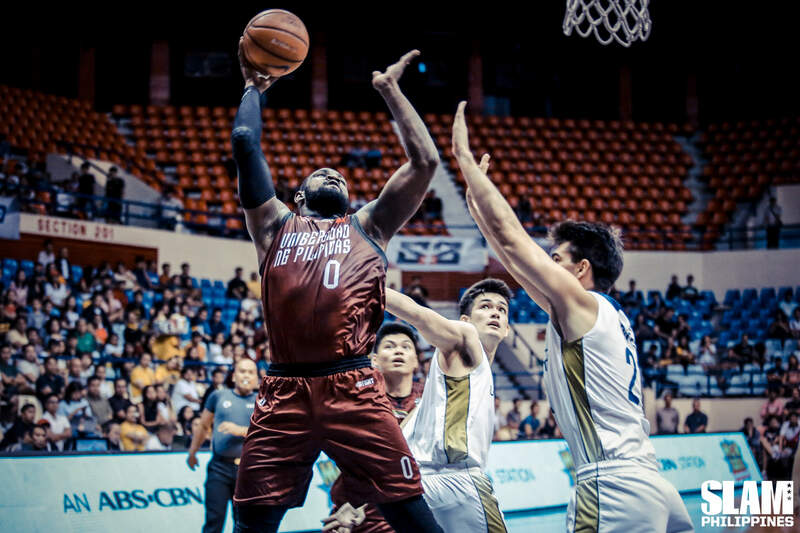 Bright Akhuetie continues to play like an MVP for the UP Fighting Maroons. The big man finished with another double-double of 21 points and 10 rebounds in their key win over the NU Bulldogs. UP moves into the fourth slot with their sixth win in 12 games. NU stays in seventh place with a 3-8 record. After a tight first quarter, the Fighting Maroons got separation from the Bulldogs when Akhuetie and Juan Gomez De Liano powered a 17-2 blast to bridge the second and third periods. Akhuetie scored nearly half of his output in the second quarter, blasting the Bulldogs inside for 10 points. Gomez De Liano was his usual dazzling self. He found his teammates with slick passes on the break to get UP’s running game started. The Fighting Maroons built a double-digit at the half and never looked back. UP’s offense was on point all game long. They shot 53% from the field despite hitting only one trey all game long. UP got out to running, scoring 18 points off the break. UP shared the ball well, assisting on 28 of their 37 made shots.